Forever ago I saw a pin tucked pillow. I thought "I could make that". Wanna make one too? Let me show you how. 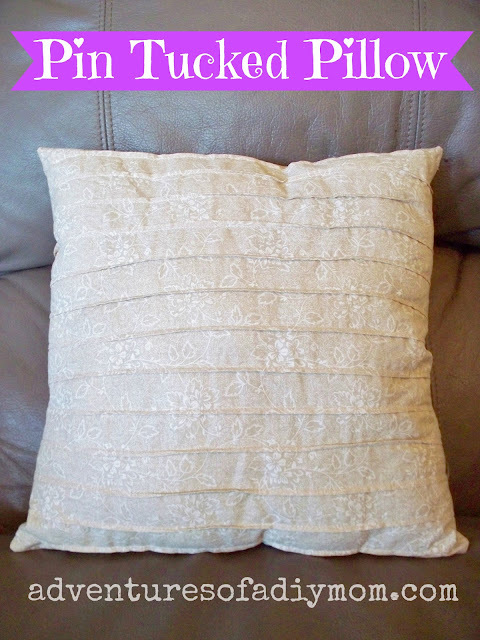 To make this pillow I started with two pieces of fabric cut to 14" X 14" and 14" X 18". Step 1) With your 14"X18" piece of fabric, measure 1 1/4" from the edge of the fabric. Fold over and iron. Measure again 1 1/4" from your pressed line, fold and press. Repeat until you come to the end of your fabric. Step 2) Now sew along each pressed line with an 1/8" seam allowance. Then gently press so it will lay flat, but not mess up your tucks. 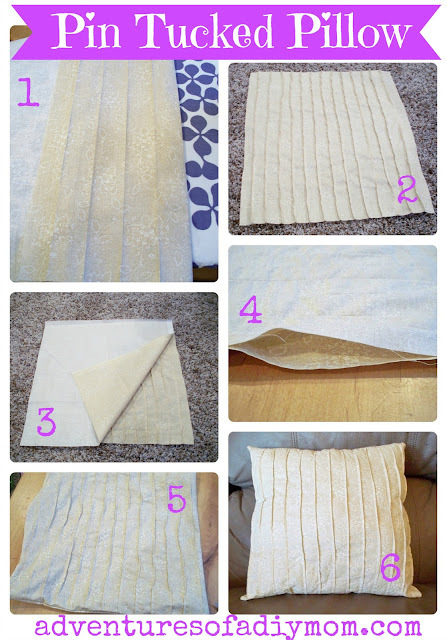 Step 3 & 4) Sew around outside edge of pillow with right sides together. Leaving an opening for turning. Step 5) This is what it will look like at this point. Now fill it up with fiberfill. Step 6) Stitch opening closed. That's it! I love the effect of the pin tucks. You get a different look just by turning the pillow.